Mini hänger kvar. Det har varit väldigt tyst om lilla iPad på sistone. Vissa har till och med påstått att iPad Mini skulle avpoletteras. Phil Shiller från Apple nämnde bara iPad Mini 4 med två meningar under presentationen. Oavsett det presterar nya Mini bättre än väntat i vårt test, men den har en bra bit kvar till storebror iPad Air 2. Now discontinued, the iPad mini 4 is a great little tablet if a little long in the tooth. Now replaced by the iPad mini with its A12 Bionic processor, we'd only recommend getting the iPad mini 4 if you can find it very cheap and don't need a lot of processing power. I own both, but I’m returning my iPad mini 4 to the store. I like the larger screen and faster processor. In all other ways, they’re nearly identical so get the size you want and you’ll enjoy it. They’re both great tablets. Apple iPad Mini 4: Is It Good for Business? Of course, iOS 9 isn't exclusive to the iPad mini 4; the OS upgrade is coming to all Apple tablets except the original iPad, which launched in 2010. But if you don't already own an iPad, the update provides some good incentives to consider getting one now. The iPad mini 4 is a great little tablet that comes in at a price that reflects its quality and capabilities. It looks gorgeous, is a breeze to use and leaves little to be desired. It's a shame that Apple has kept the 16GB model, as we were really hoping that the starter model would be 32GB at £319, but we'd still recommend the £399 64GB model of iPad mini 4 over the 16GB iPad Air 2. Please do not think this is an attempt to belittle the iPad mini 4,. The smaller iPad is still one of our favorite tablets, and there is no question it tops most lists when comparing 8-inch tablets, if that is what you’re after, the iPad mini 4 is a great device for you. However, if you’ve only been considering the smaller tablet based on price, and do not need the power in the pro line, take a look at the iPad Air 2 before you spend your money. Apple continues to sell the iPad mini 2 for £100 less than the iPad mini 4, but the latest iOS mini tablet is better value unless money is very tight or you just want an iOS device for undemanding or niche tasks such as point of sale or digital signage duties. The iPad mini 4’s improved camera, performance and screen are all worth paying extra for. Which iPad should I buy? Although the iPad Pro 9.7 is clearly a superior tablet here, it's only worth spending the extra on if you really need that better screen and you'll make use of the performance for proper work tasks. Then there are the additional costs of accessories like the Pencil and Smart Keyboard which enable this. Go for the iPad mini 4 if you're only to use the device for casual things like gaming and web browsing. After the slightly disappointing iPad Mini 3, Apple is back on form with the iPad Mini 4, which is hands-down the best small tablet that you can buy. If you're looking for a bit of a bargain, the iPad Mini 2 is still available. It's screen's not as good, there's no TouchID and it's a little slower, but it's great value at £259 for the 32GB version. There's also the similar-sized Samsung Galaxy Tab S2 8.0, which is the only Android to come close to the iPad Mini 4, although it's a touch slower and the build quality isn't as good. Which small tablet should you buy? If money is no object then the iPad mini 4 is the superior tablet here with all-round quality on offer. That's not to say the Xiaomi Mi Pad 2 is bad, though. We're really impressed with it and you can save a lot of cash this way. However, prepare yourself for a slightly odd Android experience which requires some tweaking due to its Chinese roots. But is it a compelling upgrade option? At the very least, you’re going to shell out $399.00 to pick up the iPad mini 4, which is a Wi-Fi only model with a pathetic 16GB of internal storage. The price, of course, can go up to as much as $729.00 for the 128GB model with cellular connectivity. Needless to say, if you're currently sporting an iPad mini 3, or even 2, and don't notice any meaningful problems with their operation, you might want to hold off from getting the mini 4 – sure, it upgrades the hardware across the board and has side by side multitasking, but that doesn't seem to be that much of an incentive to upgrade from its still rather solid. 100% iPad mini 4 review: why has Apple hidden this great tablet away? Apple has done its usual trick of lowering the specs where it can - the older chip is annoying - and should have launched the iPad mini 4 a year ago as the mini 3. But that doesn't stop it being great to use, and for the price it's a nice entry point into the iPad world. If this was the iPad mini launched alongside the Air 2, it would have been an easy five stars. However, even with a year in between, it still performs very well for a smaller slate. It's hard to really see who the iPad mini is actually for, and who it would suit better than either a big iPhone or a bigger iPad. Apple has done an amazing job creating a small, powerful tablet. But it feels like, for most people, a small powerful tablet just isn't useful enough to make it a recommended buy. I wasn't very excited about the iPad Mini 3 when Apple announced it last year, as it was just the iPad Mini 2 with Touch ID while the iPad Air 2 was a substantial upgrade from the iPad Air in many ways. The iPad Mini 4 represents an update on the same scale as the Air to Air 2 transition, and it's both highly appreciated and arguably overdue. On the whole, we think the faster components of the iPad mini 4 are well worth the additional spend. It'll get software upgrades from Apple for a longer time thanks to the slightly faster chipset and additional RAM. Spend the additional cash and get the new model. So do Apple’s petite tablets make sense any more? I’ve been running with the iPhone 6s Plus in tandem with the mini 4, just to see how often I’d reach for the mini’s extra 2.5 inches of screen. In the face of phablet-sized competition, you might think that the mini would prove as useful as a (particularly well-crafted) paperweight. The iPad mini 4 is faster, slimmer and more accomplished than its iPad mini 3 predecessor. This time around the mini succeeds in finding is place, despite not being as altogether powerful as the iPad Air 2. For most that doesn't mean the mini is a compromise; this is as much iPad as many will need. It's a lovely, compact tablet with anti-reflective screen coating that makes it good for watching movies, playing games, and reading or writing on the go. Which small screen iPad is the best buy? The new iPad 4 offers great power for a reasonable price, and we'd be tempted to pay the extra £100 to upgrade from an A7 to A8 processor. It'll offer much better performance in the long run, and you will get better upgrades in the long run. Touch ID is a nice extra, and it's good for unlocking your iPad. Although you can't use your iPad mini to make in-store purchases with Apple Pay (like an iPhone) so Touch ID is really a quicker way to unlock your iPad mini. Even so, we'd pay the extra £100 to upgrade if possible. The faster CPU will give better performance over the long run. The iPad Mini 4 might be a more costly tablet compared with other 7in and 8in models, but we think the high price is totally justified. The addition of proper multi-tasking, coupled with a high-quality display, smooth performance and excellent battery life, make this an ideal business companion. While the iPad Pro is literally the bigger deal, Apple hasn't innovated much with the iPad mini 4. That has given Android competitors like the Samsung Galaxy Tab S2 and the Dell Venue 8 7000 the opportunity to catch up, or even surpass, this small tablet in display resolution or graphics performance. What’s the difference between Apple’s tablets? The iPad mini 4 is the “best” iPad mini, but that’s from a technical standpoint. If you’re happy to trade off performance, screen quality, camera quality, and a Touch ID sensor (plus the more subtle differences in the table) then the £100 saving on the iPad mini 2 means it could be the one for you. The upgrades arguably make the mini 4 worth that extra £100 and it will no doubt be a more future-proof purchase if you care about being able to upgrade to the latest version of iOS. We expect the mini 4 to get at least the next two versions – iOS 10 and iOS 11. 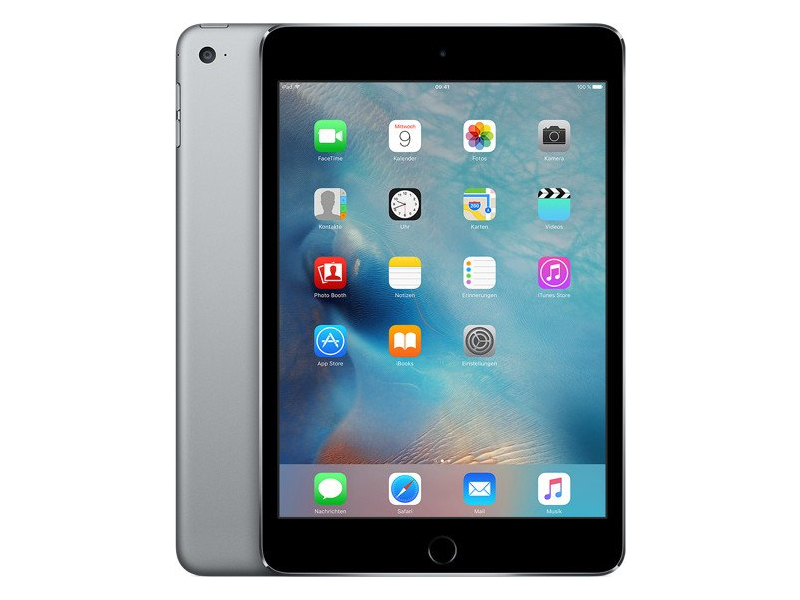 The iPad mini 3 is only a good deal if you can find a refurbished model at a low price – i.e. not much more than the equivalent iPad mini 2. After a yearlong wait, we finally have a properly upgraded iPad Mini. While it adopted the iPad Air 2's super-slim aesthetic and got a similarly great screen, the iPad Mini 4 makes do with Apple's dual-core A8 chipset. Performance is remarkably solid, though, and the smaller battery inside doesn't do the tablet a disservice. There are cheaper tablets - cheaper iPads even - but if you can afford to buy the iPad mini 4 you won't be disappointed. It finally has a great screen and while it can't match the more powerful iPad Air 2, it's got more than enough poke to satisfy demanding users. The rear camera is decent and a big step up from many cheaper tablets. With great build quality and battery life on top, it's hard to fault the new mini so unless you want to wait to see if Apple launches an iPad Air 3, or you want the Air 2's bigger screen, it's a good buy. Apple's 4th generation iPad Mini received many of the updates that it should have last year when they released the iPad Mini 3. The tablet is now thinner thanks to the laminated glass display which also greatly helps improve the display especially outdoors. Performance is nearly the same as an iPad Air 2 but for $100 less. Apple hasn’t revolutionised the iPad Mini with this fourth model but it’s certainly one of the best sub-10-inch tablets you can buy right now. A desirable combination of slick performance and longevity, combined with some serious media chops, make the Mini 4 a solid choice for almost any user. And that super-slim, ultra-light design means it's more portable than ever. The iPad mini 4 is an excellent choice in a category that's slowly being replaced by larger phones like the 5.5-inch iPhone 6 Plus and the 5.7-inch Galaxy Note 5. Starting at $399, the mini 4 attempts to warrant its hefty price tag with a high-quality screen, a premium build, and Apple's unbeatable app selection. And it mostly succeeds. That said, the iPad mini 2 is still available at a considerable discount, and while it won't run iOS 9 with quite the same smoothness, it's still an attractive option when you consider what you actually do with a tablet: browse the Web, watch movies, answer emails, and maybe play some games. For most people it's a better choice. The iPad mini 4 is the best iPad mini yet, and easily one of your best options in this category. But at $399 and up, it's too close to the iPad Air 2's pricing to highly recommend. We have both devices in house right now, and the Air 2 feels nearly as light and comfortable in hand, with a 53 percent bigger display. With retailers often discounting the iPad Air 2 into the iPad mini 4's price range (if you live in the US, Staples is a good store to keep an eye on), it's hard to recommend going with the mini 4, unless you actually prefer the smaller size. Imagination PowerVR GX6450: En del nyare spel kan spelas med de här grafikkorten, men bara om de är mindre krävande. De har ändå tillräcklig kapacitet för kontorsbruk och film (möjligen högupplöst). Är grafikkretsen dessutom integrerad kan batteritiden vara utmärkt. » Mer information finns i vår jämförelse av mobila grafikkort och motsvarande benchmarklista. 7.9": Den här skärmstorleken är i gränslandet mellan smartphones och surfplattor. De flesta surfplattor är större, men vissa smartphones har så här stor skärm. Större skärmar möjliggör högre upplösning så att detaljer som bokstäver blir större och jämnare. Å andra sidan är strömförbrukningen lägre med mindre skärmar och enheterna är överlag mindre, lättare och billigare. » För att ta reda på mer om skärmupplösning, läs vår DPI-lista. Den här vikten är relativt hög för en smartphone. Mobiler med stor skärm och små surfplattor väger ofta så här mycket. 88.67%: Det här är ett bra betyg och över genomsnittet. Mellan 10 och 15% av de bärbara datorerna får som regel bättre betyg.